The California Rifle & Pistol Association (CRPA), founded in 1875, is a nonprofit membership and donor supported organization with tens of thousands of members throughout California. We need you! CRPA’s membership is comprised of a diverse cross-section of the general public including believers in the right to choose to own a gun to defend yourself and your family, competitive and recreational shooters, hunters, conservationists, gun safety experts, youth, women, police, prosecutors and defense attorneys, judges, firearm history and technology experts, coaches and trainers, families, and loving parents. CRPA works tirelessly and relentlessly to defend the civil and constitutional rights of individuals to choose to responsibly own and use firearms. Every dollar that CRPA receives from its members and donors stays and works in California to support your hunting and Second Amendment rights and the fight back against politicians, elitists, and bureaucrats who would deprive individuals of those rights. Through its Sacramento and local legal and political advocates, CRPA works in the state capital, in regulatory agencies, and in city halls throughout California to promote laws that protect these rights, and to oppose laws that infringe on these rights. Through its legal team, CRPA fights in the courts to challenge unconstitutional and illegal gun bans and ill-conceived gun control laws, and provides guidance to California gun owners regarding their legal rights and responsibilities. CRPA works to preserve the traditional and historic role of the individual citizen to hunt and to conserve and preserve California’s natural resources. CRPA promotes the recreational shooting sports, and hosts hundreds of “fun shoots” annually. CRPA provides safety, education, and skills training, and makes gun safety information available. CRPA organizes and sanctions competitive shooting matches for both adult and junior shooters, including Olympic training programs and state championships. CRPA sanctions state championship matches in many shooting disciplines. CRPA is proud to say that many CRPA competitors are among the best in the world. CRPA is the official state association of the National Rifle Association (NRA), and works together with the NRA in California. But CRPA is controlled by its own independent Board of Directors. Many of CRPA’s efforts are funded through CRPA’s sister organization, The CRPA Foundation (CRPAF). CRPAF is a 501(c)(3) organization, so contributions to the CRPAF are tax deductible. CRPA’s political efforts are often coordinated through the CRPA’s political action committee, the CRPA-PAC. Hello fellow sportsmen and women! This site is about everything outdoors, and me sharing my knowledge with you. I love the outdoors, and I have a wealth of experience in outdoor activities which includes hunting, fishing, survival skills, camping, canoeing, and primitive living. I have a passion for enjoying the outdoors around us, as well as the family aspects of the sporting life; my blog is all about this topic. My goal is to pass along my knowledge and thoughts to you, as well as our future generations. My passion is to get young people interested and involved in outdoor activities, and to preserve the wild places that remain in our world. I want our future generations to have the opportunity to experience true wilderness experiences; the pristine Rocky Mountains untouched by man, the northern woods and lakes where a person can explore the wilderness for days by canoe, the preserved watersheds where a young hunter can shoot her first duck, the small trout stream where a boy catches his first fish. On a larger scale, we have to preserve the places where a hunt presents the life-and-death challenges that only true wilderness will provide, that is what adventure is all about. 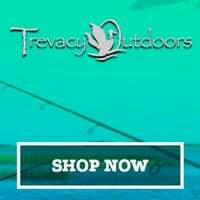 This site is about developing you into the total outdoors man or woman, to be able to survive any situation, to know how to hunt and fish, to be aware of environmental issues that impact us all, and most importantly, to encourage you and everyone around you to get our next generations into the outdoors. Check out my about page to learn more about me and why my opinion matters to you. You can see some pictures of me experiencing the outdoors at the bottom of that page. The California Department of Fish and Wildlife (CDFW) manages California's diverse fish, wildlife and plant resources, and the habitats upon which they depend. Wholehog Productions was born when Mark rung Brendan to ask for some tips making a DVD. to combine talents and resources and as they said at the time, "go the Wholehog". that would shake up the hunting DVD market for the better. "Make them good, make them easy to get, make them affordable." 3 years on and that remains our focus. We hope you continue to enjoy them. Director, Editor, one time camera man. Raised in a city in New Zealand, Brendan sort out any wide open spaces he could and set about trapping, catching and chasing anything he could.Tagging along for deer and pig hunts when he was old enough, Brendan found and nurtured his passion for hunting and the great outdoors. These days he's mostly in the big bad indoors, editing, but occasionally he breaks free to do some filming. Gannett Ridge Hunting Equipment is a Mountain Hunting Pro shop. We take pride in carrying proven hunting gear made for one of the most challenging hunting environments that exists in the world. We have built Gannett Ridge Hunting Equipment from a deep passion and respect for the mountains and the animals that call it home. We take that passion into each decision we make and every product we provide. Our biggest goal is to get you to best possible gear that will keep you comfortable, safe and give you the best possible chance to be successful on your next hunt. Gannett Ridge is owned and operated by people who have been through the sore legs, extreme heat and cold, week long rain and snow storms, hypothermia, frostbite, hundreds of thousands of vertical feet, sleepless nights and the extreme elation when a hunt goes right!. The bottom line is we have lived through and respect all the challenges, and Fun! of hunting in the mountains and it is from this place we provide and suggest gear that will work for you. Thank you for being our customer and best of luck in your next hunt. We understand the commitment it takes to be successful and applaud you taking on the challenge! Come and hunt with us: Our new program starts with Africa. Mias Steyn is our PH on the dark continent. Learn more about the wildlife, the hunting areas, the culture and the food. So – stay on our tracks! Hunting Magazine (HuntingMagazine.net) - Written by Hunter's, for Hunter's. Every hunter has a great story, how-to article, or photo to share. Share it with us! Gypsy Lake Lodge is located 50 air miles east of Fort McMurray and is the only lodge in Gypsy Lake wildland Park. It was approved as a Special Places Park in the year 2000 by the Alberta government. Accessible only by aircraft, this spring fed lake is the ultimate treasure among the lakes of Northern Alberta. Guided Moose, Bear, Deer and Wolf hunts in the most remote northern wilderness of Alberta. Visit our webpage for a closer look at our accommodations & our amazing FISHING! MissionOutdoors.Net is an on-line hunting show where it’s about as real, and live as it gets, and our videos can be found only on our YouTube channel, website, and Facebook page. Our show was started by David Enstad in 2015 after completing several years of combat operations in Iraq, and while our primary focus has been getting combat veterans and youth out on hunting adventures, it has grown into so much more. While we would like to have thousands of acres of private big buck land of our own, and unlimited time to chase big bucks, the reality is we are just like you; the average weekend warrior public land hunter who typically works a ton of hours during the week, and for the most part can only get to the woods on weekends or occasional vacation days. The way our show is structured allows us the ability to give current information on what’s happening in the woods. Everything from what stage the rut is currently in, too how the deer and other species are reacting to the changing weather patterns and the changing of the seasons. While we mainly focus on deer, bear and turkey, we also run traplines for coyote and other fur-bearing animals, and give tips and tricks on the trapline as well. Our off-season is rather misleading, as we really don’t have much of an off-season. When we are not out in the woods hunting or trapping, we’re out scouting for the following season and constantly gathering intelligence which we share in the form of tip videos on everything from how to find new ground, to aerial and topographical map use, scouting, trail cam use and check, stand placement, and ultimately we’re right back where we started and putting it all together for our next hunting adventure. If you would like to be notified of when our videos are released, please sign up for our news letter, and we will notify you once we upload a new video. We promise to never share your information, or send out spamming emails. Zero-Detect Hunting Products is about enabling you, the “Hunter”, to become the “spirit in the woods”…being absorbed by your surroundings, enabling you to move freely and undetected. WE created the ZERO-DETECT “Pro-Hunter Suit” as “if you had to hunt for a living”…this would be your first choice for an outer garment. This is an “ALL WEATHER SUIT”! 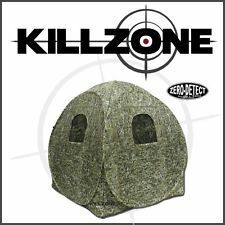 Includes the amazing ZERO-DETECT CAMO, a durable, soft, water proof “Otter Fleece” outer shell…bucks the wind, contains your scent, wicks your sweat…and ZERO-DETECT Camo allows you to be absorbed into your environment, wherever you hunt! Our new “Pro-Hunter Suit includes the jacket, pants, gloves, and your choice of hat, all for an introductory price of $ 379.95! Tell your friends but get yours while supplies last. Leave the crowd…and take your hunting experience to the next level with ZERO-DETECT HUNTING PRODUCTS. ZERO-DETECT CAMO is “Not a Picture…it’s a Pattern…” Pictures work in the exact environment of the picture…ZERO-DETECT CAMO is a pattern, enabling you to hunt anywhere! We, as hunters, have combined our knowledge of the outdoors to create products that enable you to maximize your talents as a hunter. Your equipment should equal or enhance your ability, not hinder. Watch for all of our new innovative product designs…we copy no one… After all, “We Are You”…Hunters creating for Hunters! Western Colorado elk and mule deer outfitters. Colorado GMU 40 and 41. Xtreme Safaris location is at the nexus of a growing extreme hunting sensation in Southern Africa. Our mission is to provide soothing products made from only the purest ingredients. CBD oils provide therapeutic relief to people of all ages. When combined with luxurious moisturizers, creams, and oils, CBD’s synergistic effects can be recognized and beneficial in a wide variety of applications. Enjoy the purity of the highest quality organic ingredients along with the therapeutic benefits of CBD by browsing our online CBD shop at Cornerstone Botanicals today. CARIBOU GEAR ULTRA LIGHT SYNTHETIC GAME BAGS - THE ORIGINAL PATENTED GAME BAGS, OTHERS ARE TRYING TO DUPLICATE, DON'T SETTLE FOR LESS! Timberline Gifts is now your go to for Girls with Guns Clothing, women's hunting apparel as great fashion . Don't forget to check out our great Miners Grime, and other products! Come back regularly we are trying to expand our products a bit more. Liberty Land Sales is a property investment company that prides itself on quick, professional, easy transactions. Semi-custom knives designed with function first, made of the best materials available, designed for function, built with quality. Motsomi is a family business owned by Pieter and Ria Potgieter. Pieter and Ria both being nature lovers and Pieter being an avid hunter decided to share their love for the African bush with people equal in their passion for nature. The sole purpose of Motsomi Safaris is giving our clients an unbelievable African hunting experience and to welcome them back as friends. All safaris are fully guided, tailored and personalized for hunters and non-hunters, so your itinerary can be very flexible. We are strict on fair chase and ethical hunting, that’s one of the reasons why we are members of PHASA (Professional hunters association of South Africa) and we live by their code of conduct. Coulter Lake Guest Ranch is a one-of-a-kind all-inclusive lakeside retreat. STEALTHPOD X® converts between a Bipod, Tripod or Monopod in seconds. Shoot standing to prone fast with the push of a button. Want to shoot sitting exclusively for varmint hunting or even prone for extreme long range? No problem, simply setup with two or one of the three leg sections. ONE shooting rest, NINE different product configurations PLUS trekking staffs! Supports your optics and range finder or camera while your rifle’s ready, on the rest…Nothing else even comes close. Kerry Sebring High Lonesome Outfitters has been in business for over 35 years successfully guiding our clients to all species of trophy big game. We, are full-time outfitters that understand, "Success is when preparation meets opportunity." Working hard for the trophy hunter is our life. Owners, Kerry and Deb Sebring, will do everything in their power to ensure you have a hunt of a lifetime. We, offer elk hunting especially, premiere big game rifle hunts, bowhunting bull elk during the rut is Kerry's specialty. We, offer NM trophy antelope hunts, bear hunts NM, elk hunts NM, and in Old Mexico the desert mulely. If you are looking for a NM trophy outfitter give us a call we can help you with the NM state licencing service so that you may obtain an elk tag or the various species offered in NM. We, are also familiar with NM landowner tags, whether its elk hunting, NM trophy antelope or big game rifle hunts call Kerry Sebring High Lonesome Outfitters for a hard working NM trophy Outfitter. We will get the job done for you. Our guides, are die hard hunters themsleves and live for the out doors. Developed by Bob Beck of Extreme Outer Limits, The Evolution™ series of MOA Rifles® is the first true production series of long range hunting rifles. It was time to re-introduce the superior Spiral-Wrap concept to the mass market and at prices, any angler could afford. Join the Spiral Revolution! At Larsen Bay Lodge the adventure still remains! Here you can still experience the raw beauty and bountiful wildlife of Alaska - without the crowds. We offer saltwater AND freshwater fishing. We have our own fleet of boats, our own floatplane, and experienced guides to put you amidst all the hunting and fishing action! Larsen Bay Lodge on Kodiak Island is home to Big Salmon, Big Halibut and Big Bears! No other name envokes the mystery and adventure more than Kodiak. Larsen Bay Lodge is the largest most experienced lodge in the village of Larsen Bay. American Mining Supply was born out of a passion... and that passion is gold. The Fly Shop is Northern California's fly fishing headquarters! We provide the best products, guided fly fishing experiences and angling travel destinations in fly fishing. For 40 years! The Coastal Conservation Association of California (CCA CAL) was created in 2015 when recreational anglers and outdoor enthusiasts grouped together to work for the conservation and enhancement of our marine resources and coastal environments. Today, we are working to protect not only the health, habitat and sustainability of our marine resources, but also the interests of recreational saltwater anglers and their access to the resources they cherish and use on a daily basis. Well, I started making knives because I really wanted to make hunting knives for my kids. Something that they would keep! That quickly evolved into making knives for friends and then clients! I make knives that are something you want to display on your mantle and take out hunting/fishing/whatever! I think its great when someone sees or buys one of my knives and can't wait to use it. That's the kind of knives I want to make, not just museum pieces, but actual usable knives that will be part of someone's experiences! Since 1983 our experienced team of Colorado realtors has always maintained the highest standard of honesty and integrity while specializing in listing, selling, and assisting with buying beautiful Colorado Mountain Properties. Our team has extensive knowledge in 1031 tax exchanges and Conservation Easements and related tax benefits for our buyers and sellers. We also pride ourselves in understanding exactly what our client’s goals and expectations are. Putting our clients first has earned us a reputation as the “Go To Guys” for mountain properties. Bringing buyers and sellers together to comprehensively and professionally assist them in achieving their Colorado property dreams is the ultimate compliment for our services. My Goal for Falco Firearms is to firearms education and access to the Firearm You want. To many times I have been in gun shops and have seen people looking for a firearm. Most of the time with every few exception, the sales person behind the counter does not have the time or the education to help find the right gun. Firearms are tools, I want Flaco Firearms to become a place to educate yourself and find the right gun for you. Hello, and thanks for your interest in Dos Plumas Hunting Ranch. I have been hunting for the past 40 years and have been to many different ranches. I have been to those I liked, and those I did not. So I opened my own version of what I think most hunters are looking for in a ranch. A fair price, plenty of game, comfortable and spacious lodging, and no trophy fees awaits you at Dos Plumas Ranch. I've always said that what a person says about my place when they leave is what's important. Therefore, I live by the motto, "My success depends on your success." Our objective here at Dos Plumas is to offer the best value in a hunting operation to the everyday individual. We like to call ourselves"The Working Man's Ranch"! Come out and see us, and we'll show you some genuine Texas hospitality. We look forward to seeing you on your next outdoor adventure. Welcome to QRS Outdoors, Western Colorado & Central Wyoming's leading destination for big game hunting. QRS is a family owned and operated business committed to excellence. Our guests come as clients and leave as friends. Owned an operated by Quentin Smith since 2002, QRS has grown to incorporate 3 distinct locations and over 252,000 acres where guests enjoy the best hospitality, guides and outfitting services, and experiences the West has to offer. Whether you're looking for that giant muley, monster antelope, majestic elk, regal moose, magnificent black bear, or a stately whitetail, QRS is your one-stop shop for all your big game needs! Specializing in western hospitality, QRS provides its clients the highest quality hunting experience complete with Boone & Crockett shot opportunities, premier lodging, western home-cooked meals certain to exceed the desires of your palette, and a hunting staff excited to make your hunt a once in a lifetime opportunity. TanzaniaWe lease our OWN two blocks in partnership with Tanzanian national Ivan Mjengwa.This is our own garden of Eden and prized Dangerous Game block where the Big Four roam freely in huge numbers. Leopard, Lion, Buffalo and Elephants are the main attraction for this fantastic Old African experience. Finally Fisherman you can trust! You may have heard a fishtale or two, but this one is different because it is ture!! For 48 years and three generations the Williams family has been harvesting from the waters of Bristol Bay, Alaska. Home of the largest sustainable wild sockeye salmon run in the world. The Williams family moved to Alaska in 1961. Where Dave, Charlotte (Memaw) and the Williams brothers Buck, Steve, and Mark and sister Lisa would start fishing on the shores of Bristol Bay in 1967. The youngest Brother Mark Started fishing at 7 years old. Mark instantly fell in love with being a fisherman, a love and passion that is even stronger 50 years later. Today Memaw, Mark his wife Dana and their two sons Marcus and Sam Williams return every summer to Bristol bay to fish in the same place they started fishing in 1967. The Williams family has been blessed by salmon fishing and Alaska for three generations. Now with the Willbros Salmon Co. and The Wild Alaska Tour Company, they are just as passionate about sharing wild Alaskan salmon and the experience of Alaska with as many people as possible. Northern Minnesota’s Boundary Waters Canoe Area is truly canoe country! If you enjoy a little physical exertion and the unique feeling of dipping your paddle into the water to propel your canoe, then Minnesota canoeing just might be for you. The combination of Minnesota’s Boundary Waters Canoe Area and Ontario, Canada’s Quetico Park forms one of the world’s great wilderness areas: the largest international area set aside for wilderness recreational purposes in the world. For thousands of years, the area has served as a travel corridor for native peoples and, more recently, as one of the main routes to the west for European explorers and fur traders. The so-called Voyageurs’ Highway ran through what is now the BWCA and Quetico Park. Today its quiet waters and non-mechanized mode of travel serve as a haven from the pressures of modern-day living. Wilderness adventures await you at Eureka Peak Lodge & Outfitters, located northeast of 100 Mile House in the heart of the Cariboo. Whether it’s a fishing trip, a trek on horseback into the backcountry or that once-in-a-lifetime wildlife hunting or photo safari . . . real adventure paydirt is yours at Eureka Peak Lodge & Outfitters. For the fishing enthusiasts there are numerous lakes where rainbows can weigh up to 15 pounds, lake trout can hit the scale at 30 pounds, bull trout to 17 pounds and kokanee at 1 1/2 pounds. The remoteness of this region makes it a fishing paradise. Venture into the eastern portion of the Cariboo region of British Columbia on horseback with one of our experienced and qualified guides. Get a real feel for the wilderness as you ride through the spectacular Cariboo Mountains bordering Wells Gray Provincial Park. Our exclusive guiding rights to 3500 square miles of prime big game country varies in terrain from lakes surrounded by forests to alpine meadows and snow-capped towering mountains. The game is plentiful and the scenery unsurpassed. Lianga Hunting Safaris is a family owned hunting business in the Northernmost province of South Africa. Our business was born out of love for hunting and conservation. From the outset our goal has been to provide our clients with the most memorable, enjoyable and affordable hunting safari possible. Our clients are friends and we treat them like extended family. Since 2006 we have been sharing this amazing African hunting safari experience with fellow hunters from across the world. Limpopo is the Northern most part of South Africa bordering Zimbabwe and Botswana. This area is known as an excellent hunting destination for its endless expanses of undulating indigenous bush as well as it’s abundance of wildlife and only 4 hours drive from O.R. Tambo International airport. We grant Hunting &/or Fishing Dreams to youth, 21 & under with Life-Threatening Illness or Life-Threatening Disabilities. Folks from all over the world travel to Colorado in order to experience the raw beauty of the Rocky Mountains. Many choose to explore the area on horseback and Sombrero Ranches, Inc. is the largest outfitter in the state. Sombrero, Inc. operation, and Hi-Country Stables, Inc., offer guests the chance to experience riding–as early settlers did–in the innate beauty of the Colorado Rockies. An artist's brush couldn't have painted a more amazing scene. Come travel the Rockies with Sombrero and Hi-Country, Inc. and witness it yourself. Don’t you just love it when you are out on the perfect stand and your call freezes up, Or your calling buddy can’t call worth a flip, Or better yet you get light headed after one series because your call orifice is to large. There is no more need to worry about those large issues that can plague your success in the field, we make our calls easy to blow so that you can be successful in the field, if you are a novice caller or experienced these calls will work effortlessly for you. EAR Inc. specializes in helping you find the solution for your hearing health needs. We provide a variety of custom hearing protection and enhancements. We are Colorado Outfitters representing Steamboat Lake Outfitters and Summit County Outfitters providing two great destinations for your western vacation. We offer true western outdoor adventures year-round and invite you to come experience the rugged beauty of the Rocky Mountains with our team of experienced guides. With access to thousands of acres throughout Routt and Summit counties you can see the breath-taking beauty of the Colorado Wilderness. Queen Charlotte Safaris invites you to come and experience one of the few remaining uncrowded and unspoiled regions in the world, Haida Gwaii, the Queen Charlotte Islands! Experience world class fishing and echo touring at its finest! Haida Gwaii is rich in heritage and culture. Come and see for yourself. Our combination fishing is legendary for Chinook salmon, Coho salmon, Halibut, Lingcod, Yelloweye, and other assorted bottom fish. Our limites are generous allowing you The islands create a 200 mile long Archipelago about 90 miles off the mainland, essentially forcing every salmon in the Pacific Northwest to bypass them on their annual migration. The result is virtually no "down time" in-between runs, as wave-upon-wave of salmon spends time feeding in the rich waters. We believe in personal touch and the friendships that’s created by hunting. I have been the owner/operator/artist at Birdsall Taxidermy for over twenty-five years. Art has always been a major interest and importance to me. I strongly feel taxidermy is a form of wildlife art, similar to sculpting and oil painting. Some of the goals I personally value are to respect all clients, and their prized trophies, always striving to provide custom masterpiece quality wildlife art into each mount. I am passionate about my pursuit of taxidermy. I really enjoy the talents the Lord has blessed and bestowed upon me and I plan to pursue taxidermy into the future for many years. I can be reached by phone, email, text or in person at any time, and look forward to making your next trophy into a work of art and family heirloom for you to enjoy for a life time. At the southern most tip of Africa exists the greatest number of species available to the privileged few who answer the call to hunt, and be at one with the outdoors. Ballantyne Trophy Safaris will take you there . . .
Ballantyne Safaris has been operating since 1975 and is a family run operation. We are situated in the beautiful and historic Eastern Cape of South Africa. The Eastern Cape is home to over 30 plains game species. These animals range from the tiny Blue Duiker to the large Cape Eland. There is a large diversity of terrain, ranging from the mountains to the Karoo plains right down to the coastal forests. The Eastern Cape is a Malaria and Bilhazia free area. Hunting is done all year round, the best times being from March to October. You can expect to have some rain while you are hunting so a light rain coat will be useful. With Serengeti, you're more than a client, you're a future friend who will treasure the memories of your Serengeti adventure, the fish you caught and the hospitality you experienced. Serengeti is a completely family owned and operated business, and because of this, we make sure you will have the trip of a lifetime! We offer service and fishing the big lodges and resorts can't, and at a fraction of the price. For the past 30 years, Dave Summers has been known as one of the best fishing charter guides on the west coast of British Columbia. Fishing out of Port Hardy on Northern Vancouver Island, Serengeti offers scenic, comfortable, and successful fishing charters. We run to bottomfish and salmon grounds few know about, and because of this, the fish are plentiful! Most importantly, we fill the boat with fish as well as smiles! All captains have all their Transport Canada requirements, so you are always in safe hands. Roche Safaris is a family run outfit operating from the Mpumalanga Province of South Africa and to Mozambique. Our 70 000 acres of pristine game land provides the perfect hunting grounds for top quality animals. The beauty of this land also allows you access to plains game from Klipspringer, Buffalo and Sable. Roche Safaris specializes in hunting safaris of the Big Five and all the plains game that South Africa and Mozambique has to offer and will tailor your package to your wishlist. Our privately owned camp, borders the Kruger National Park and Mozambique. Also we have concessions in the North West Province. It is only two and a half hours drive from Johannesburg Airport. And also less than one hours drive from the world renowned Sun City, Pilansberg and Madikwe Game Reserves. Roche Safaris sits ideally in the heart of South Africa. Therefore you can choose between a boundless amount of things to do. Roche Safaris also caters for non-hunters and can provide excursions and photographic safaris within an hours drive from camp. We also have an internationally qualified beauty therapist in camp which will assure that your African holiday is an unforgettable experience. The scenic and tranquil setting of Mesa Lakes Lodge is ideal for so many activities. Whether you crave relaxing seclusion or mountain adventures, our lodge can accommodate your needs. Enjoy your family vacations, reunions, weddings & honeymoons, anniversaries and weekend get-aways on the majestic Grand Mesa. We offer a wide variety of services in a rustic and inspiring setting atop the largest flat-top mountain in the world. Not only that, but we are surrounded by 7 lakes: Beaver Lake, Sunset Lake, Mesa Lake, Lost Lake, Jumbo Lake, Glacier Springs Lake, and South Mesa Lake. Let the crisp mountain air energize you as you partake in one of our many activities. In the winter, enjoy a guided snowmobile tour, or rent a snowmobile and head out on your own. If you want something a little quieter, rent some snowshoes for a walk around the lakes. In the summer and fall rent a boat and head out with a fishing pole for a day on the lake. After a day of fun, let us take care of dinner in our rustic and beautiful lodge. Located on the Grand Mesa which has one of the largest concentration of game in the state, the GR Bar Ranch limits the number of hunters; thus ensuring a great hunting experience! Hunting area. Located at the south end of the Grand Mesa which has one of the largest concentrations of game in the state, the GR Bar Ranch borders both the Grand Mesa National Forest and the Gunnison National Forest to the north (all in unit 521). All of our land is private and posted. We allow no trespassers. We limit the number of hunters per season; thus assuring a great hunting experience. All of our land is private and posted; consisting of aspen, oak brush, and open parks with elevations ranging from 7,200 to 9,800 feet. Hunters will enjoy hunting from one of our four secluded cabins, each being furnished with kitchen utensils, dishes, flatware, and propane lamps. There is no bedding, nor linen provided. You will need to bring your sleeping bag, pillow, towel, grub, hunting gear, license and 4 wheel vehicle (chains in late fall). (Not leased, but available for overnight stays on a rotation basis when needed.) Our seven trout stocked waters are available for fishing through 3rd season, weather permitting. Reservations. We limit the number of rifle hunters for any one season. Archery and black powder season is also limited, which makes for a better hunt for all concerned. Please ask for our current dates and rates – we suggest making early reservations. Licensure. Hunter Education proof is required to apply for or purchase any big game license if born on or after January 1, 1949. Colorado will honor all other state certificates – License requirements and cost is available at Colorado Parks and Wildlife www.wildlife.state.co.us web page. Transportation. We do not permit the use of ATVs during any of our hunts which makes for a better hunt since elk in particular are pushed out of an area by the two cycle engine noise. The road to our cabins and the fishing lakes are graveled and are accessible by four wheel drive. Hunters should be cautioned that the road to Whisky Jug Cabin is not graveled. After initial pairing, controls up to 5 Tactacam 5.0 cameras with one button. Functions include Power ON Auto Record / PAUSE/ OFF and when not recording conserves batteries with the Auto Power off feature. All cameras and Remote will power down after 3 min when not recording. But don’t worry they all will power back on just as fast with a push of the Tactacam remote button. Tactacam Remote Technology gives you the feedback you need, all on an LCD screen: Number of connected cameras, Record length, Remote Battery life and the Green LED indicates Recording, Pause/On and Off. If you are looking for an guided Big Game Hunt in New Mexico we will be happy to oblige. Our guides, hounds-men, wranglers, videographers and camp cooks can get you into the action and help make memories that will not fade. We share your passion for the outdoors; hunting, trapping, fishing, conservation and especially the thrill of the hunt. Marvel in the beauty of Alaska at Kenai River Drifter's Lodge. Located along Kenai River, stay in one of our waterfront chalets s and indulge in the best Cooper Landing AK Lodging! Enjoy world class Alaska Salmon Fishing and don’t forget to check out our Alaska Fishing Packages. Make Kenai River Drifter's Lodge your first choice for Alaska Cabin Rentals and enjoy the magnificent area. There is no page available on the site. Be the first to create it today! Full draw on a giant whitetail. When a giant appears!